Life is Worth Living was an inspirational American television series. 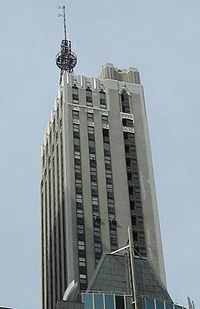 It premiered on the DuMont Television Network on Feb. 12, 1952 and ran until 1955, and then on ABC until 1957. It is still shown in reruns on the Eternal Word Television Network (EWTN) and the Trinity Broadcasting network (TBN). 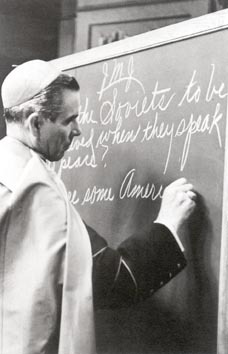 Hosted by Archbishop Fulton J. Sheen, the series consisted mainly of Sheen speaking to the camera and discussing moral issues of the day, often using a blackboard to explain the topic. DuMont was searching for programming ideas and put on a series of rotating religious programs with a Protestant minister, a Jewish rabbi and a Catholic bishop. 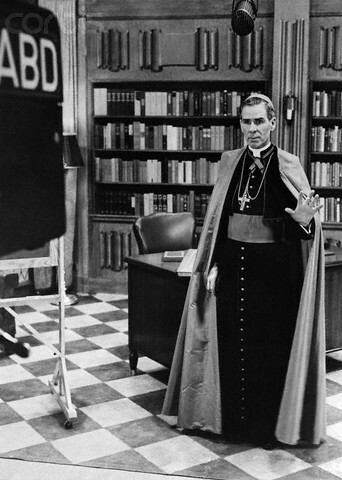 While the other shows did not catch on, the bishop (Sheen) became an overnight hit, found a sponsor in Admiral television sets, and was DuMont's only Emmy Award winner in its brief period of broadcasting. It also held the distinction of being aired on more stations than any other regularly-scheduled DuMont program. It has been said that, had Sheen not been a Catholic bishop, he might have been one of America's great Shakespearean actors. 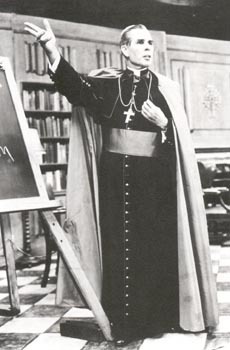 Prior to Life is Worth Living, Sheen had appeared on the radio program Catholic Hour from 1930 to 1952. With his hypnotic gaze, disarming smile, and dramatic delivery, Sheen was a natural for television. Airing opposite NBC's highly popular Milton Berle show on Tuesday nights, Sheen was the only person ever to give "Mr. Television" a run for his money, drawing as many as 10 million viewers. Sheen and Berle enjoyed a friendly rivalry. Berle is reported to have joked, "We both work for the same boss, Sky Chief," making reference to a brand of gasoline produced by Texaco, his sponsor. Later, when Sheen won an Emmy, Berle quipped, "He's got better writers!" As a take-off on Berle's popular nickname with the public, Sheen once opened his program by saying, "Good evening, this is Uncle Fultie." The charismatic Sheen became one of television's earliest and most unlikely superstars, winning several Emmy Awards for his program. 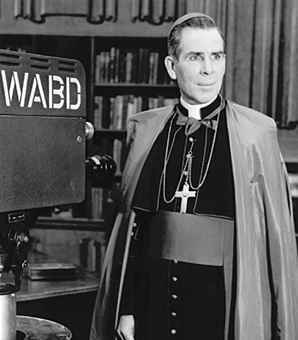 When DuMont ceased network broadcasting in 1955, Sheen moved his show to ABC, then lectured for a while, and returned to television in 1961 with The Fulton Sheen Program, essentially another version of Life is Worth Living. The show was broadcast on local stations across America until 1968, with the later programs in color. Times had changed, however, and the 1960s programs did not match the audience of his earlier years. Sheen was later appointed as Bishop of the Roman Catholic Diocese of Rochester, New York. He died in 1979. 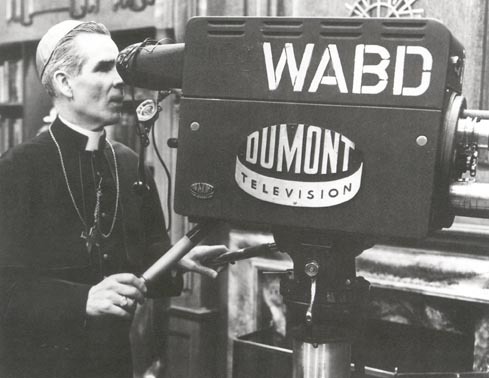 Reruns of Life Is Worth Living and The Fulton Sheen Program continued to circulate as late as the early 1990s on broadcast stations, and are currently televised weekly by EWTN on Friday nights at 9 pm Eastern time, introduced by actor Joseph Campanella.